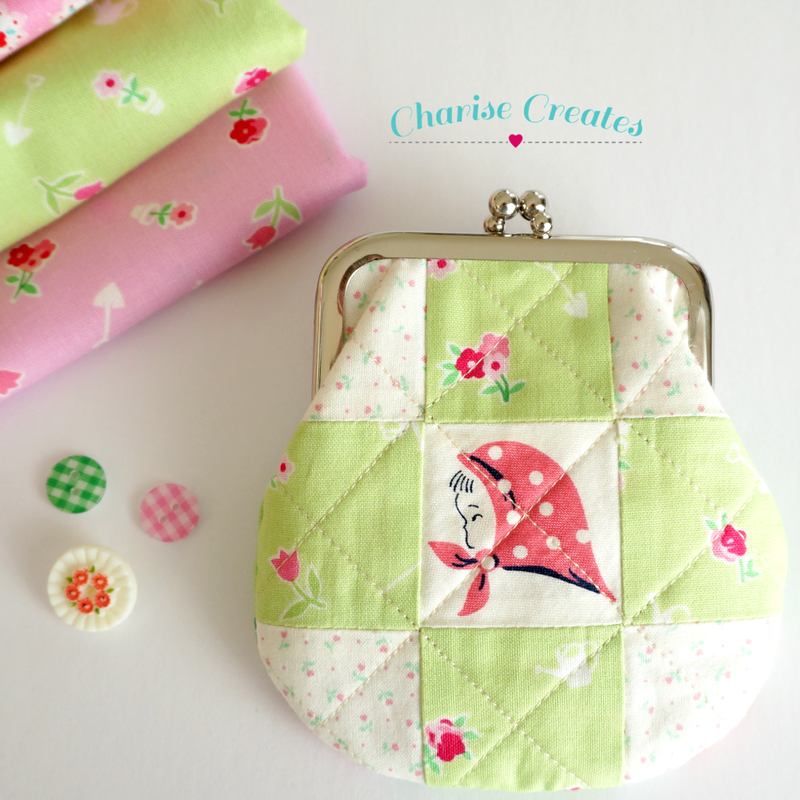 Charise Creates: The Purse Clasp Book Sew Along ~ all together! I have been a busy bee and have missed writing on the blog! Today I wanted to share my clasp purses from the Purse Clasp Sew Along. 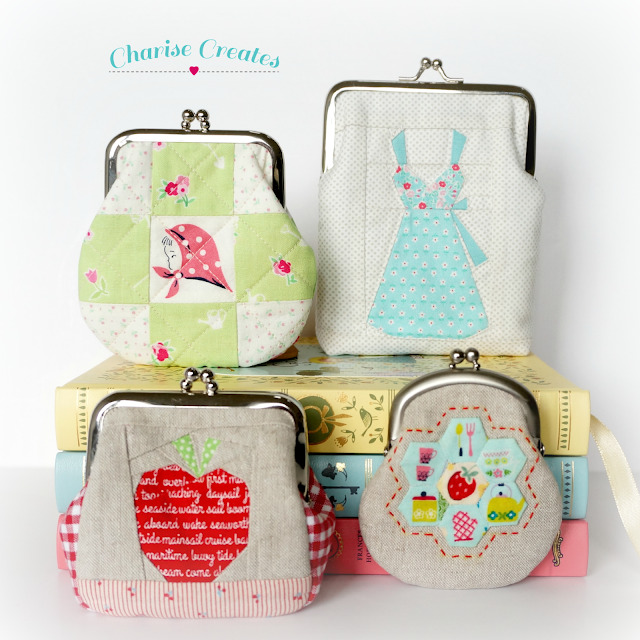 Each and every Clasp Purse was such fun to make! 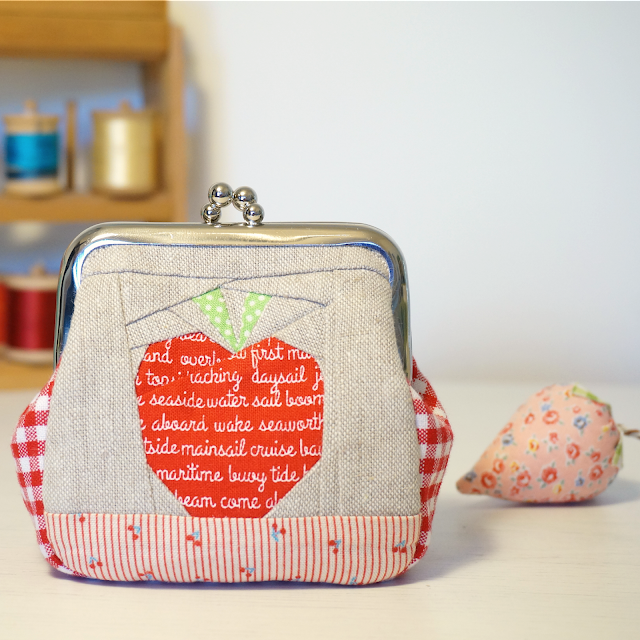 The first clasp purse I made was the strawberry clasp purse. The Strawberry pattern is from my book "Super Cute Paper Piecing". 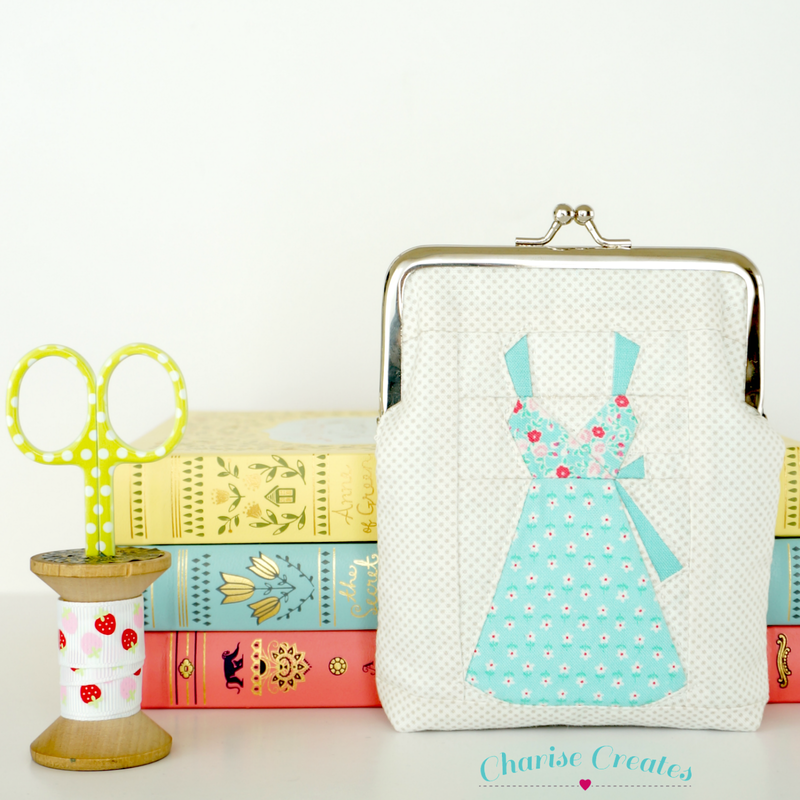 The book comes with two clasps and this purse was made with one of them. You can find the book and extra clasp hardware at Zakka Workshop on Etsy. 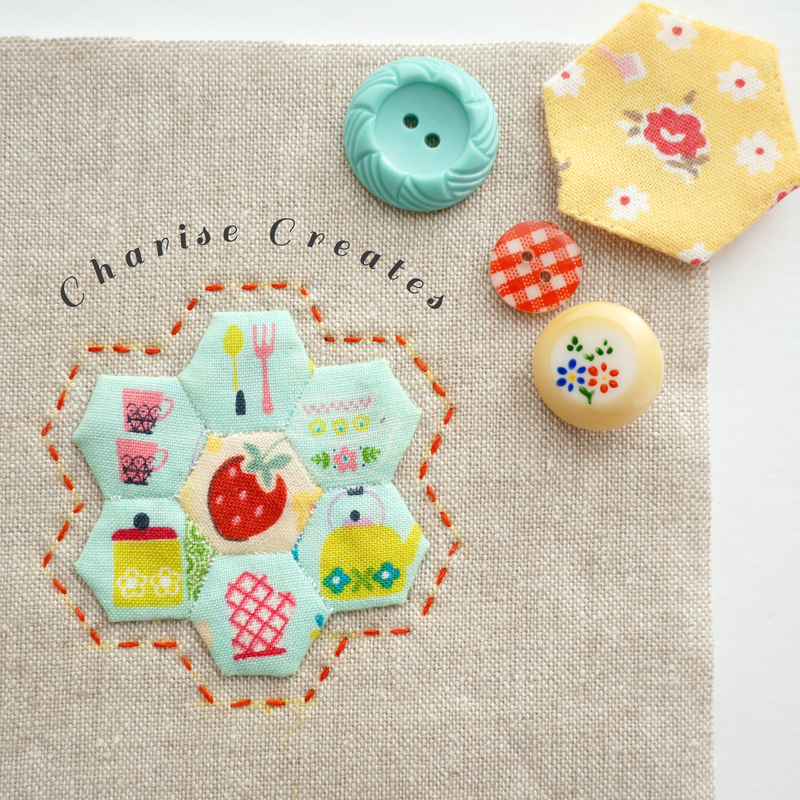 The second clasp purse was made using my nine patch coaster pattern you can find here. The third clasp purse has my dresses paper piecing pattern for the focal point. You can find the pattern for the dress in my book "Super Cute Paper Piecing". The dress for the clasp purse was reduced to 45% of the original pattern! 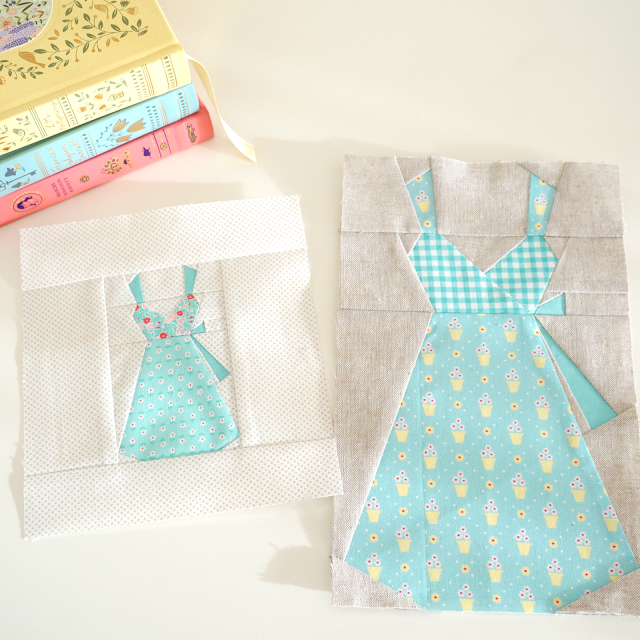 The dress on the right is from the book and is 9" tall. 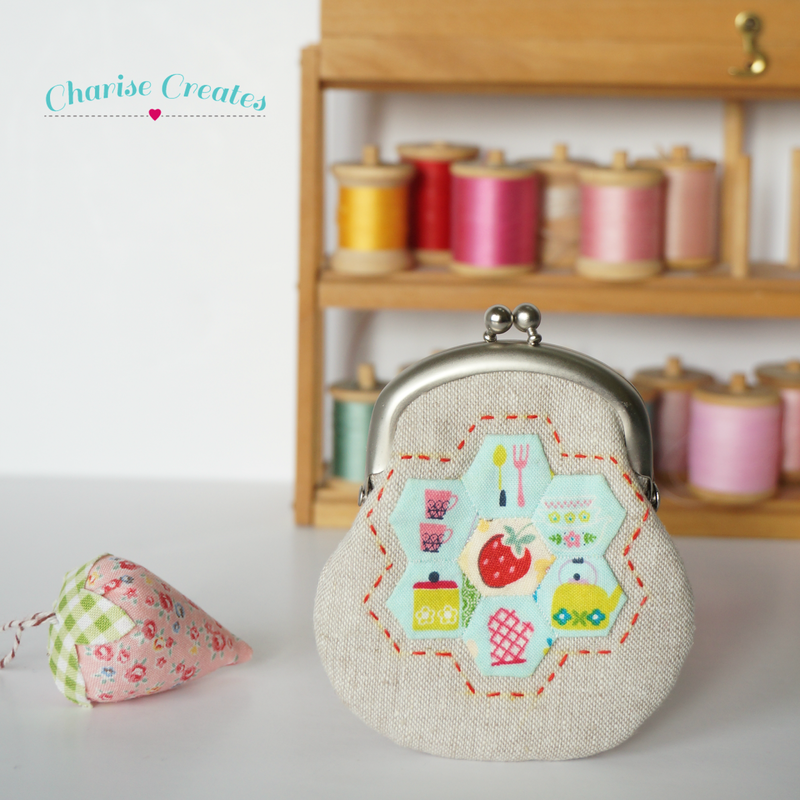 Last, but not least is the hexagon clasp purse. It is so small that it fits in the palm of my hand! Your purses are all darling! I love that hexagon one the best, but it's hard to choose a favorite.